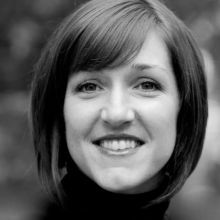 Emily Dumler-Winckler is a postdoctoral research associate at the University of Notre Dame in the Center for Theology, Science, and Human Flourishing. She earned her M.Div., Th.M. and Ph.D from Princeton Theological Seminary. Her research brings ancient and medieval thought to bear on modern and contemporary debates in religious ethics. In her work with the Center, she is developing a theology of home-making, which examines how the practices of modern science and religion have shaped our relationship to the natural world for better and worse.